You’ve nothing to lose but your prejudices and enslavement. 400,000 years ago the scientist Enki and crews of seven–twelve foot tall Homo Sapiens from the planet NIBIRU rocketed to Earth for gold to make white powder to shield their planet’s atmosphere. 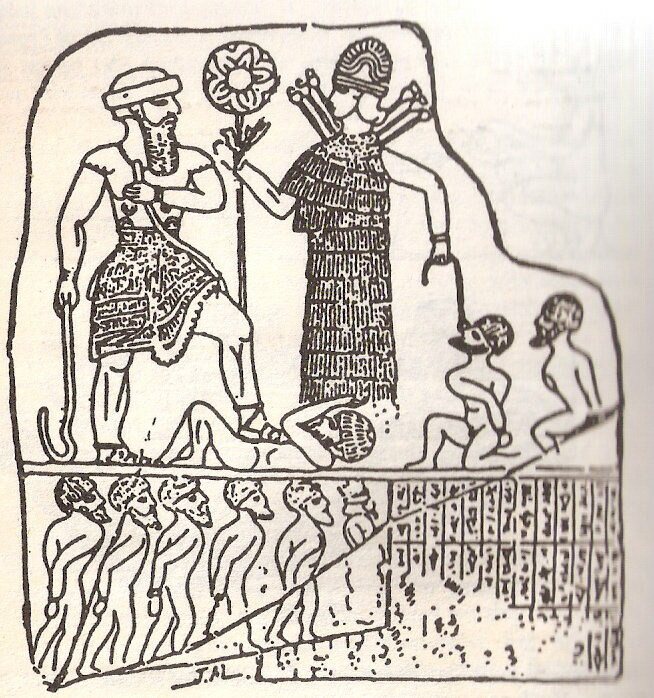 Ancient Sumerians called the Nibirans ANUNNAKI–those who came from the sky and hybridized their genes with those of a local human, Homo erectus, to create us as mine, laborer and miltary slaves ruled by a line of hybrids they chose to rule us, that still, to this day, control our planet. Throw off the chains the Anunnaki forged for us. Reject the programming they perpetrated and perpetuate that we’re an entirely indigenous species evolved from simpler forms native to Earth. Escape the physical and economic slavery, hierarchic obsession, derogation of women, gold lust, antagonistic religions and nations the Nibirans and the hybrid elite they created dictated. TRUST THE GODS? ARE YOU NUTS?